As an alternative to standard emailing software on Mac OS X, Mail, you may want to use a Microsoft Outlook for Mac, an email client, designed by Microsoft especially for Apple computers. 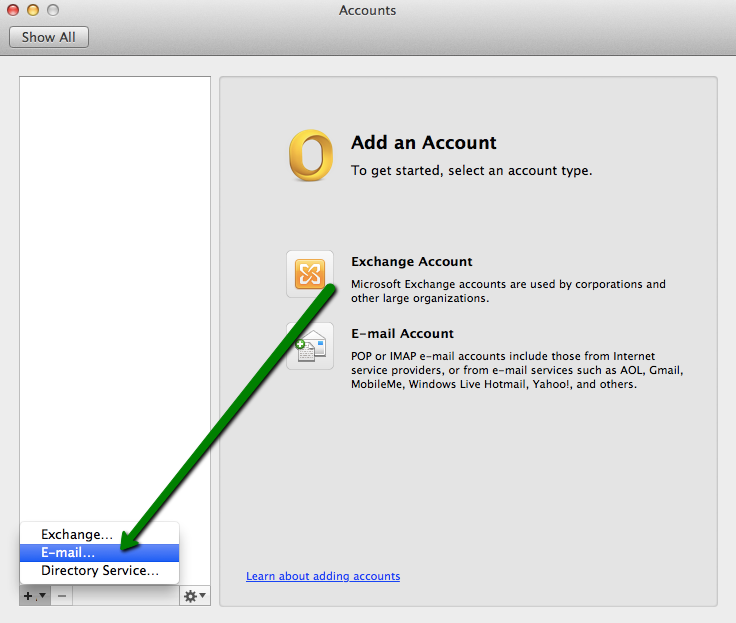 With the help of this tutorial, you will be able to configure Microsoft Outlook for Mac in order to check messages in your Private Email account. 3. In the next window, enter a Private Email email address of yours. After that, make sure that you are using correct port for the incoming server according to the type of connection and presence of SSL specified before. If necessary, click on Override default port and specify the needed one manually. Again, usage of SSL is not mandatory but recommended. 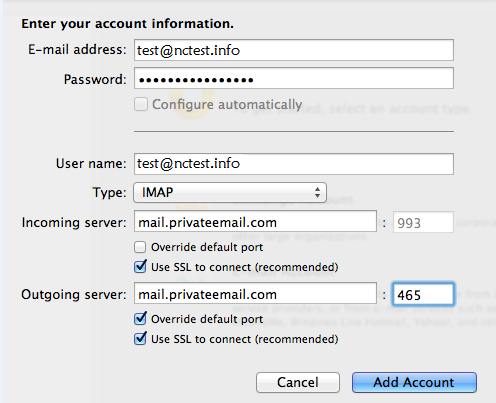 If you would like to use SSL for outgoing mail, set the port to 465. Without SSL, the port number for outgoing connections should be 587. 6. 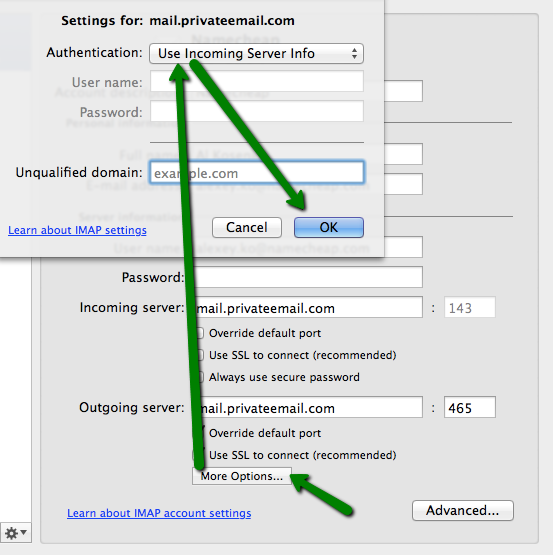 Upon clicking on Add Account, it will be necessary to enable SMTP authentication. 7. Make sure that the option Always uses secure password is unchecked.